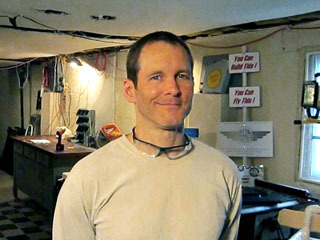 First of all, I completed my first large-scale flight simulator in 2005 and I used it as a part of my aviation ground school. I produced this video to showcase the capabilities of the simulator. I called it the Roger Dodger Aviation Training Simulator (RDATS). It featured dual airplane controls and two comfortable seats from a Dodge Caravan. Notice in the video, I never show the computer monitor. That’s because it was so difficult to get good video of it. 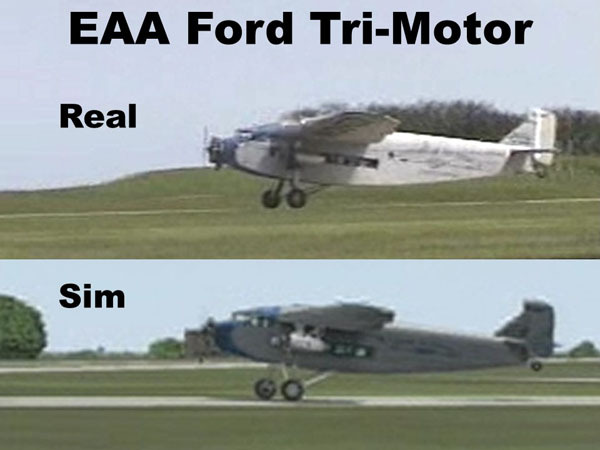 Microsoft Flight Simulator 2004 included the Ford Tri-Motor as a default aircraft. Consequently, I spent a lot of time flying that vintage airliner. FS2004 made it possible to re-create the entire transcontinental route across the USA. As a result, I got the idea for the NY2LA fund raiser that we hosted the same year. The Tri-Motor was missing from FSX and I miss that old vintage aircraft flight simulator. Most noteworthy, the EAA flew its Ford Tri-Motor into Kansas City in 2005. Not only that, they also sold rides because this was a part of their national tour. I happily bought a flight and took a lot of video. Looking at it now, the video is old and grainy, but it was great back then. A member of the Vara-Tones gave me verbal permission to use their music. I actually called them on the phone and talked to one of them. It turns out these guys are all retired from the aviation industry in California. Very cool! Become a Roger Dodger Insider and be the first to know about new products, upcoming sales, updates, super-secret experiments and more. It's a monthly email.